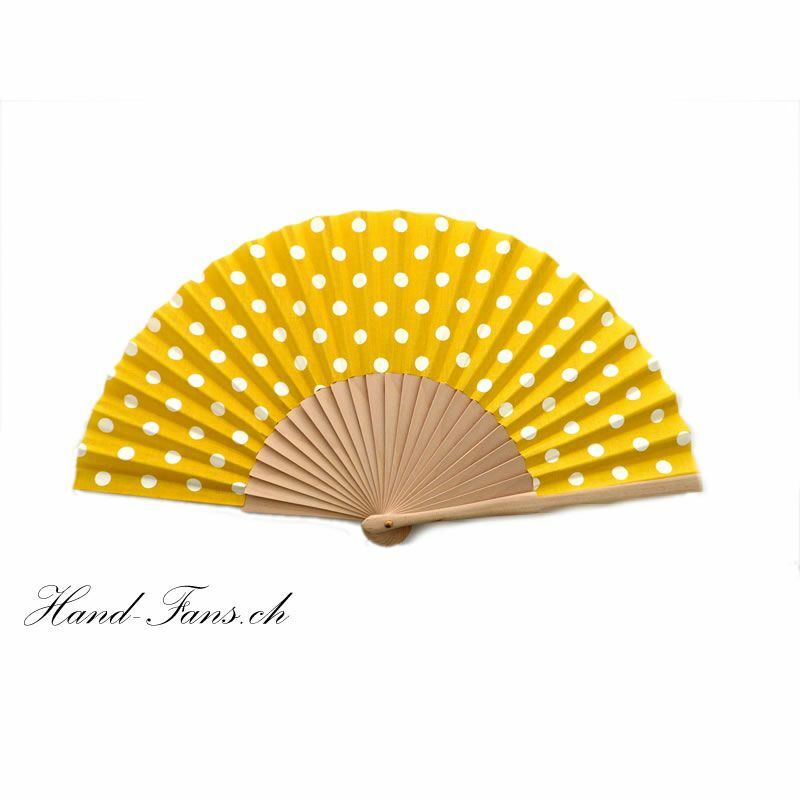 Hand Fan Luna Punto Yellow. Plain but beautiful Hand Fan from wood and cloth in yellow color with white points. 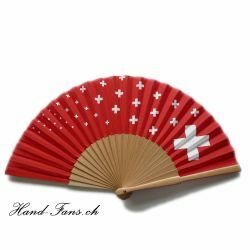 Ideal for weddings, christening or for daily usage. The wood is natural and light weight. 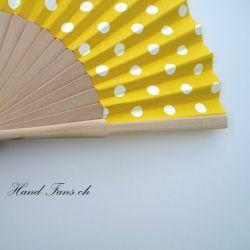 Color: Wood natural untreated, yellow with withe points. 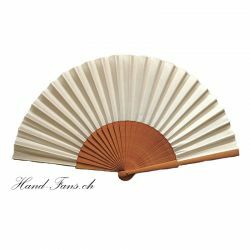 Handfans box. 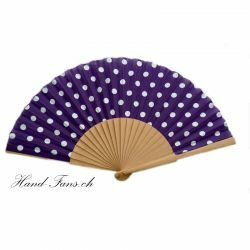 Safe storage for your hand fan. 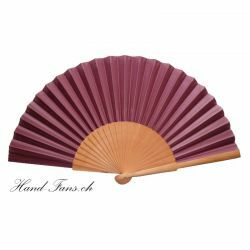 The box, made of heavy cardboard box is black with fine grooves on the outer surface and a white inscription "hand-fans.ch" on the lid. 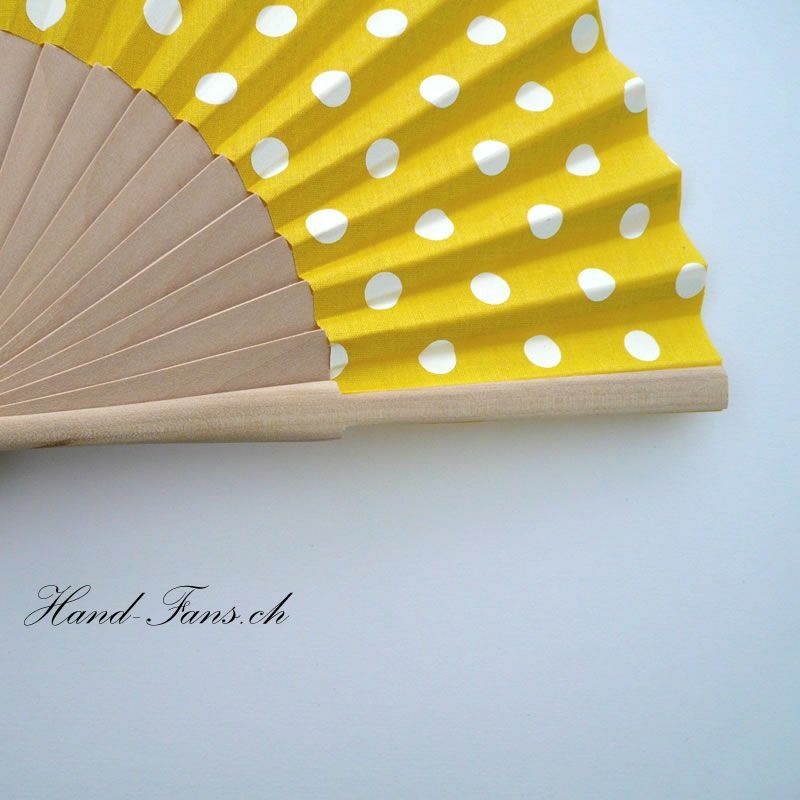 Size - inside 24.8 cm x 5 cm x 2.3 cm - just so great that most hand fans fit in it. 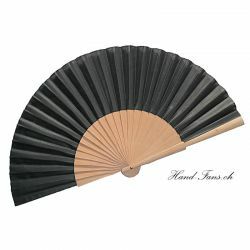 Overall dimensions: 25.8 cm x 5.8 cm x 2.8 cm.